I’m the first to admit that I do not get out to see movies very often, but the new Star Wars film was too much to avoid. So I ponied up the cash for a 3D Ultra AVX experience and went in for the last showing of the evening. Then, after sitting through 20 minutes of commercials and mobile game tie-ins, the music sounded and a very familiar script appeared. In case you haven’t seen it yet, there are serious SPOILERS ahead. First up is the disclosure. I am a Star Wars fan who loved the original three, disliked the prequel trilogy, and was ambivalent (at best) to the Expanded Universe. I had been burned before, and as a result, I tried to keep my expectations low going into this film. I didn’t go for the hype, I avoided spoilers as best I could, and I came in with a critical eye. 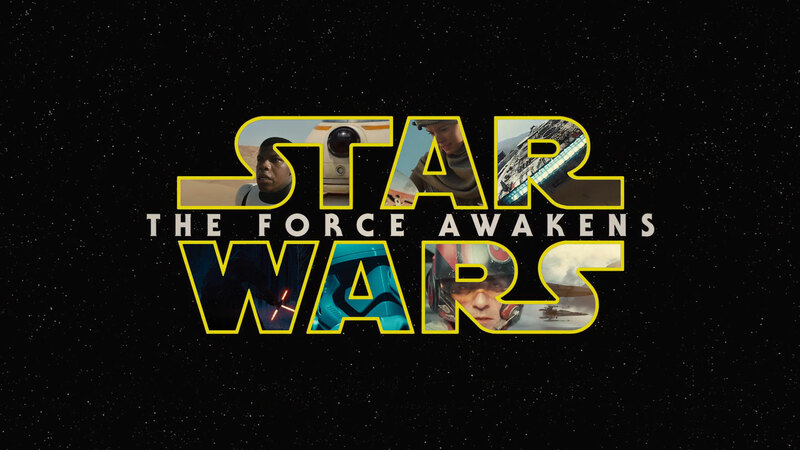 As far as a jumping off point for Disney’s Star Wars franchise, the film is solid if unimpressive. New heroes are linked into the story by older established characters. The universe post Return of the Jedi is defined and immediately destabilized. The villains are introduced and they are predictably evil. The CGI and practical effects are fantastic, and more importantly aren’t abused or overused. If you’re a fan of the franchise, or want to get your kids into the series, this movie is worth the price of admission. Just barely though, because this film has some serious issues. If the new heroine, Rey, isn’t a portrait of a Mary Sue, she’s very close. In all seriousness, she has possibly the shortest hero’s journey that I have ever seen. In the original trilogy, we watched Luke Skywalker develop from a talented moisture farmer and womp-rat slayer into a skilled pilot and later, a Jedi. It wasn’t a smooth road and he paid for his errors in judgement, and we watched this over three films. In the prequel trilogy, we watched this process speed up, with Anakin Skywalker already being an amazing pilot at under ten and mastering the Force and Jedi powers by the second film. Rey has every skill handed to her on a silver platter, and doesn’t even have much of an internal struggle. She goes from tech scavenger to ace pilot to technical expert on the systems of the Millennium Falcon to Force adept to lightsaber master in the space of a single film. She has no flaws, no real struggle, and just came across as incredibly badly written. Finn on the other hand, was a complete bait and switch. Played up in the media as a major character, he is just barely a secondary character. On top of that, he makes no sense. Taken as a baby from his parents, he was raised, indoctrinated, and trained by the First Order as a Stormtrooper. Who works sanitation? And can think for himself? Sorry, but no. We’ve seen what Finn should have been like with that background, and it’s Kurt Russell’s character from 1998’s film, “Soldier”. A semi-functional human being with no compunctions about killing or carrying out orders. This would have made him a much more in depth character, and given him a much more interesting storyline than him, in his first battle, suddenly and out of nowhere developing a conscience, personality, and becoming a cowardly lion. As much as they do give him screen time, he is still very much a token character there to provide cheap laughs (look how Black he’s acting! ), and to pass on vital but improbable information for a sanitation guy who was sent into battle for no reason to have. You could literally cut him out of the film and not lose anything. Of the new characters introduced, the best written and portrayed is Kylo Ren, the new Darth Vader. The dark side corrupted son of Han Solo and Leia, he drips confliction and well deserved angst. His veneration of his grandfather, Darth Vader, is terrifying. He kills his own father to deepen his ties to the dark side! Unfortunately, he falls victim to Rey’s easy development from half starved scavenger to master of everything. Kylo Ren is exactly what Anakin Skywalker should have been for the prequel series. Back to more positive notes, the overall story arc was quite nice. The evolution of the Empire into the First Order was good, and the complexity of their relationship to the Republic and the Resistance (the evolved form of the Rebel Alliance) was well executed given the length and character focus of the film itself. Leia’s evolution from princess to a jaded but still optimistic general was one of the most natural things in the film. Han Solo was on point, and his death at the hands of his son was made all the more heartbreaking for it. The aesthetic was back too. Where the prequels went, for lack of a better term, full retard, with CGI and making them into a nearly unrelated past visually, the film grounds itself in the original trilogy. This is a “lived in” universe, and it is gloriously unrepentant about it. There is also canon supporting material for this film that apparently fills in the gaps. However, like most people, I don’t have access to these, so I can’t speak to how this affects perception and understanding of the film. Moving forward, I’d say this film is worth seeing in theatre, and manages to surpass the last three films with an easy margin. That said, the hype around Finn, aimed largely at the POC fanbase an audience was exactly that, hype. So, if you keep in mind that he’s just there to be a prop in Rey’s amazing (even by Star Wars standards) rise from scavenger on Jakku to super-at-everything heroine and finder of Luke Skywalker, you’re in a good place to see this. If you’re expecting a Black hero to lead the way or even make a vital contribution, you’re going to be disappointed. I missed most of the hype for this, so Finn doesn’t feel like bait and switch, but when I see the marketing they did put out, yeah, F that. He holds up the whole plot and drives it forward, like Leia in A New Hope. The comparison is quite accurate. Rey leaps from zero to superhero in nothing flat; there’s no journey part to her hero’s journey. She’s good at literally everything immediately with no supporting development or back story. If they had decided to have the Supreme Leader show up, she would have beaten him, because “The Force”. It’s bad writing and horrible character development. Finn should not be. People taken at birth, and indoctrinated/trained to be warriors their entire lives do not have charming personalities or “normal” human traits. That’s why I compared him to the main character from Soldier. It’s not impossible for that sort of training to be broken, but it’s not going to result in Finn’s character either. He should have been the new complex morality character, instead we get a deserter stereotype and a bundle of the lighter end of Black stereotypes. The fact that he was sanitation made even less sense, since that’d be a tremendous waste of effort on the part of the First Order. The reason there weren’t more turncoats is exactly because of indoctrination and training, which failed, apparently without notice, with Finn. My chief complaint is that, if you were to cut out Finn and replace him with a Resistance spy who dies breaking out Poe, and a an intelligence report about the Star Killer, you don’t actually lose anything from the film. Han still would have gone to knock out the shields and rescue Rey. Rey still would have darted for the Millennium Falcon, and the attack still would have gone off. He doesn’t actually serve a purpose, which is why I characterised him as barely being a secondary character.